Womenstuff Themed Salesroom – exclusive edition! Womenstuff Themed Salesroom is open! Find an exclusive fall edition of Shawna skin for a great price. 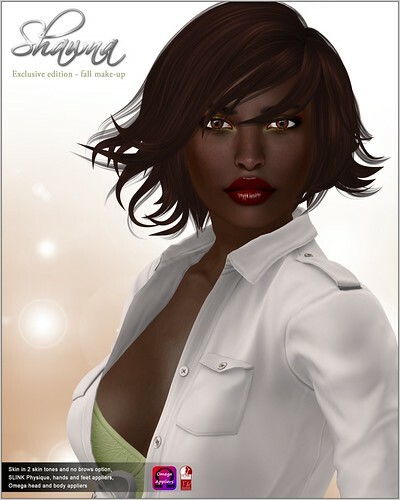 This time-limited skin pack includes skins in two skin tones with a browless option, SLINK Physique, hands and feet appliers plus Omega head and body appliers! ← Womenstuff hunt, exclusive freebie skin!